Microsoft has never released Publisher on Mac, but we’ve taken a look at the best alternative Desktop Publishing Software for Mac in 2019. MS Publisher is different from Microsoft Word because it focuses more on Desktop Publishing (DTP) than traditional word processing software. The apps featured here are suitable for creating all types of print and online publications including newsletters, brochures, booklets, magazines, newspapers, leaflets, eBooks, flyers, banners, invitations and more. You can really spice them up and create some amazing results with these superb stock photo resources too. If you need to import PDFs or scan documents without tediously having to retype them, you can also use some of these top OCR apps on Mac to import the text into these DTP programs. Note that there are no apps that can open MS Publisher PUB files on a Mac but there are ways of converting them to another format which you can open in the programs featured here. If you really need to open MS Publisher files on macOS though, then your only realistic option is to run Microsoft Publisher on your Mac by installing Windows first. Here then are the best desktop publishing software for Mac that make great alternatives to Microsoft Publisher in order of ranking. Adobe InDesign is easily the leading industry DTP software for Mac and blows Microsoft Publisher out of the water when it comes to desktop publishing. If you’re entitled to an educational discount, Adobe InDesign is an absolute must right now as Adobe are currently offering 60% off the entire Adobe Creative Cloud suite. That’s not just InDesign you get – Creative Cloud includes 20 different apps including industry leading tools including Photoshop, Lightroom, Spark, Adobe XD, Illustrator, Premiere Pro and Acrobat Pro. So you’re basically getting 20 Adobe applications for the price of one. With Acrobat Pro included in the deal, you can also digitize your paper documents or perform OCR scanning on magazine and newspaper articles which you can then edit in InDesign. InDesign is used professionally for everything from creating stationary, flyers, annual reports, calendars and posters to professional magazines, online interactive digital publications and e-books. The introduction of a huge number of royalty free professional images in Adobe Stock means anyone can now produce professional looking publications without the need for a big design or imaging department. InDesign has become far more accessible to the average user too with an easier to use layout that’s closer to the Microsoft Office style ribbon interface and toolbox. 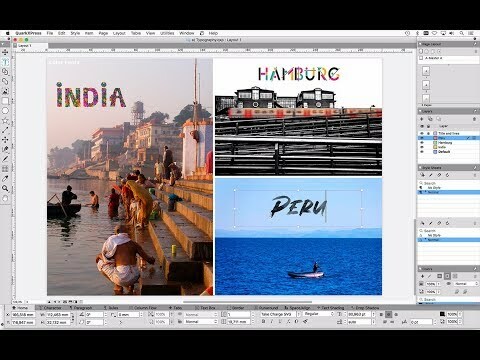 Adobe has simplified InDesign a lot to appeal to a wider market and there are also plenty of easy to follow InDesign video tutorials to help you get to grips with the software. You can now easily create multi-column text blocks, apply font styles or changes and wrap text around objects in a few clicks. Most impressive in InDesign however is the way it handles images. For starters, you can of course import high quality vector graphics from other Adobe apps such as Illustrator and Photoshop in a few clicks. But what allows you to get really creative with InDesign is undoubtedly Adobe Stock which integrates into all of its Creative Cloud software. Adobe Stock is a huge repository of millions of royalty free stock images and videos including those in 4K quality. These are instantly accessible and searchable via the CC Libraries menu along the right hand side of InDesign. This means you can find and import high quality professional images and multimedia for virtually any subject which saves both time and money in sourcing images for your publication. For a limited time you can get 10 images for free with a free trial of Adobe Stock. Exporting to the format of your choice is now extremely well-integrated into InDesign meaning you simply have to click Export and choose the format of your choice such as EPUB, Flash, HTML, PDF Print and PDF Interactive. Alternatively, you can publish directly online from Adobe InDesign for Mac to your own Adobe Portfolio site. You get 20GB of online storage space for publication and file storage with your Creative Cloud subscription and publishing to it is as simple as clicking the Publish Online button at the top of the interface. You can dynamically update publications you’ve already published too this way meaning it works well for news magazines. Anyone can then view your finished publications online either via a public link or embedded in a website on any device without the need for extra plugins or a Creative Cloud account. Another plus of InDesign Creative Cloud integration is that you can start designing or creating publications on your iPad and then continue working on it on your Mac. Alternatively, you can create publications or designs on your Mac and make last-minute edits or corrections on your iPad on the move. 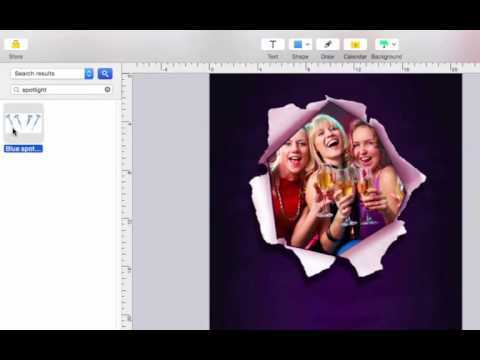 Overall, InDesign for Mac is the ultimate desktop publishing software for Mac due to its range of features, general ease of use for a professional DTP software on Mac and ability to publish to all formats. The integration with Adobe Stock allows you to produce truly professional results without the need for expensive and time-consuming photography. Although InDesign definitely takes longer to learn and get used than many of the other software featured here, the long-term benefits and payback are worth it, particularly if you’re planning to create a commercial publication or are a professional publisher. On its own InDesign costs $20.99 per month. However if you’re a Student or Teacher, you’re much better off taking advantage of the 60% off Creative Cloud suite offer as you get all 20 Creative Cloud apps included for just $19.99. As you can see below, this is a significant discount on the full price of Creative Cloud which usually costs $52.99 per month. You can also download a free trial of InDesign to try it first. 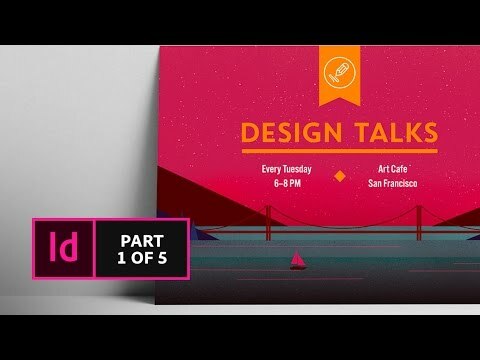 You can watch how to create a simple postcard in InDesign below. Swift Publisher is an impressive, user-friendly and slick desktop publishing application for Mac that’s become increasingly popular as a cheaper desktop alternative to MS Publisher. Swift Publisher is made by Belight Software who are also the team behind Printworks (see app number 5) and one of the best home design software for Mac, Live Home 3D (full review here). If the monthly or annual subscriptions are not for you, Swift Publisher provides an excellent value for money desktop publishing software for Mac for just $19.99 (and there’s also 30% off for students, academics and non-profits). The good thing about all Belight products like Swift Publisher is that they don’t require lots of learning like professional DTP software for Mac but produce professional looking results. Swift Publisher is ideal for producing booklets, bulletins, flyers or brochures and makes rearranging elements such as images, tables and text very easy. Swift Publisher has 300 professional looking templates which you can customize anyway you want and help you create layouts quickly. Swift Publisher is also integrated with iPhoto and Aperture and you can export your work to PDF, JPEG, EPS, TIFF and iCloud. There are also more advanced touches like the possibility to define bleeds and configure correct DPI for print publishing. There are also lots of easy to follow video tutorials to get you started with Swift Publisher although we found you still sometimes have to Google certain functions to work out how to do them. We noticed stability can be an occasional issue when working with lots of images but for pamphlets, flyers and straightforward publications, it works very well. If you want an easy to use DTP app that’s similar to Publisher but without a steep learning curve or monthly subscription fees, then Swift Publisher is an excellent, value for money tool. You can find full details on Swift Publisher pricing here. You can also try Swift Publisher for free to judge for yourself first. Pages is Apple’s answer to Microsoft Word for Mac and used to be part of Apple’s version of Microsoft Office, iWork. Pages is now available as a standalone app though and is capable of both word processing and desktop publishing. If you’re used to Microsoft Word, it can take some time to work out where the equivalent functions are in Pages but it’s well worth the effort. With lots of professional looking templates and layouts, you can create some really professional results using Pages. Pages does have its drawbacks though. Working-out how to format things, insert tables and move elements around the page isn’t as easy as it should be but again, all it requires is familiarity with how Pages works. Some users are also disappointed at recent versions of Pages which they feel aren’t as good as previous versions with some features removed or not as easy to find as before. Be aware that there isn’t much support for Pages or many tutorial videos either so if you get stick, you’ll find yourself having to Google the answer although Pages is so widely used on Mac, you’ll always find the answer somewhere. Note that if you’re using OS X 10.10 Yosemite and above, you don’t need to buy the entire iWork suite to get Pages – you can download it separately from the Mac App Store for $19.99. Lucidpress is an easy to use online desktop publishing software with over 3 million users according to the developer Lucid Software. Lucidpress is extremely user friendly and helps you to create extremely professional looking print and digital publications including magazines, newsletters, posters, flyers, reports, digital magazines and more. There’s nothing to download with Lucidpress, the basic version is free to use and it works on any platform. You don’t even have to sign-up if you have a Google account as you can use your Google account to sign-in and start using it immediately. Lucidpress allows you to easily drag and drop elements, import text from Google Docs, add tables, buttons and insert interactive media such as YouTube videos. It’s very easy to do common tasks like change the size of your canvas, undo edits and edit headers and footers in Lucidpress. One of the most striking things about Lucidpress is the huge range of professional looking templates ranging from posters and invitations to gift certificates and business cards. Templates are optimized for high quality 300dpi printing although this is only available in the Professional and Team Plans of Lucidpress. Free and Basic plans will also display on digital devices at 300dpi but paper printing will be limited to 100dpi. Lucidpress doesn’t have anything like Adobe Stock for sourcing and adding content but it can easily be used alongside photo stock services such as Free Range Stock (free) and Shutterstock instead. All Lucid products are highly focused on team collaboration and Lucidpress is especially ideal for those working in an editorial team. The Pro and Team Plans of Lucidpress support anything from 2 to 200,000 users working at the same time and allow you to see who is working on what, leave comments and chat in real time to other members. Editors can manage permissions of other users to limit commenting, editing or viewing. You can also see revision history so you can see who made changes and undo any unwanted changes instantly. When it comes to sharing documents, Lucidpress is integrated with services such as Dropbox, Flickr and Facebook so that you can easily import images and graphics from them and also publish directly from Lucidpress to them. The export options are more limited than professional tools like InDesign but you can export to PDF, JPG and PNG for offline publication or embed them online in a website or blog. Finally one unique aspect to Lucidpress is internal analytics. The Pro and Team plans of Lucidpress track how people are interacting with your publication and give you an fascinating oversight as to how users scroll, click and interact with your publications. The basic single user version of Lucidpress is completely free to use but is limited to 3 pages and 25MB of storage. To remove these limits and get other benefits such as print quality PDFs, document embedding and premium templates, plans start at $5.95 per month. Lucidpress often offers some pretty big discounts too if you subscribe annually rather than monthly. If you’re a K12 teacher or student, you can even get Lucidpress completely free. Overall, Lucidpress can’t compare with industry leading professional publishing software like Adobe InDesign for serious designers and publishers but it certainly beats Microsoft Publisher for easy desktop publishing. You can also watch a quick overview of how to use Lucidpress works below. 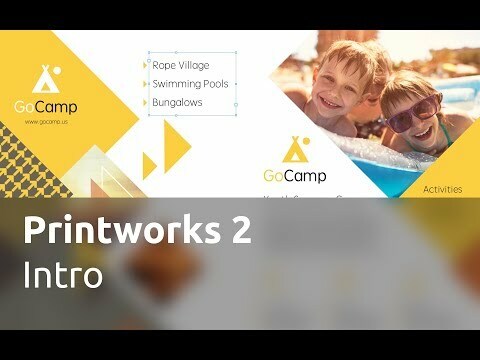 Printworks is a more recent product from Belight Software, the makers of Swift Publisher (see review above). While Swift Publisher is more focused on page layouts, Printworks is designed for desktop publishing tasks of all kinds from brochures and calendars to CD labels and business cards. If you need to create branded stationary for a small business for example, Printworks would be a better solution than Swift Publisher as it’s designed for publicity of all types (see a full comparison of Swift Publisher vs Printworks here). There are over 500 free templates to choose from including bi-fold and tri-fold brochures, address labels plus there are additional free Printworks templates here. Most things are included in the purchase price of Printworks ($29.99) but you can also buy 40,000 royalty free clipart images for an extra $9.99. Printworks feels a bit like a more basic but user friendly version of QuarkXpress (see review later) with useful two-page spread views, master pages for repeat content and unlimited layers. Other smart Printworks features include the ability to import audio tracks from iTunes, import your Apple Contacts, print on CDs and DVDs, support for TouchBar Macs and Google Maps integration. You can try a free trial of Printworks to see whether it’s right for you. It’s clear that Publisher Plus is heavily inspired by Apple’s Pages but has tweaked the user interface a bit to make it faster to use. One of the common problems with Pages is that for those that are used to Word, it can feel a bit un-intuitive to use with menus and tools constructed in a slightly different “Apple” way of doing things. Publisher Plus has a more familiar Windows feel to it and is as a result now one of the most popular equivalents to Microsoft Publisher available. However, there are a few disadvantages to be aware of. For example, there are plenty of templates available – over 170 in fact ranging from Magazines and Posters to Newsletters and Certificates – but the quality of them isn’t quite as professional as in Pages or Swift Publisher. There are other limitations too such as the text tool which doesn’t allow you to configure a style and there a fewer choices when it comes to drop shadows. That said, if you compare it side-by-side with MS Publisher, Publisher Plus actually has more features although it should be stressed, only if you upgrade from Lite to the full version of Publisher Plus. The pricing for Publisher Plus is a bit confusing as you can get it direct from the developer for $39.90 with a 30 day money back guarantee or $19.99 from the Mac App Store. There’s also Publisher Plus Lite which allows you to edit Microsoft Publisher files for free although it only allows you to edit or create a few limited pages and you have to buy the full version for $39.90 to unlock the entire app. Your best bet is probably to try to Publisher Lite from the Mac App Store for free first and then upgrade to Publisher Plus if you like it. 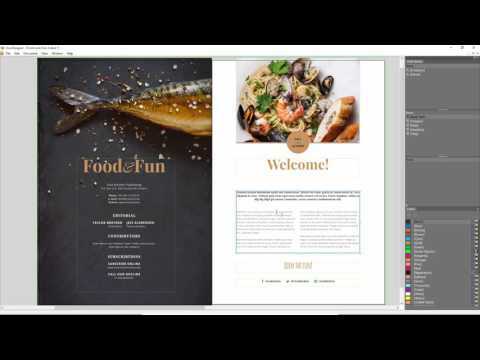 Overall, if you’re trying to create a magazine, advertisement, flyers, resume or business card, Publisher Plus is generally an excellent desktop publishing software. iStudio Publisher is an extremely user-friendly and powerful DTP software for Mac users. iStudio Publisher produces professional results and yet is very easy to get started with thanks to the well thought out video tutorials and Quick Start Guide. Creating brochures and documents is very easy – you can simply drag and drop images and text boxes into a page and export the final product to PDF. The only slight downside is that you can’t import and export Microsoft Word DOC files but you can insert content from Word files via RTF, TXT, PDF, and various image formats (JPEG, TIFF, PNG, GIF, PSD, AI and EPS). You can also export to PDF and ePUB. For those that need to send the document to professional printers, iStudio Publisher also gives you the ability to work with colors in different colorspaces such as RGB and CMYK. This isn’t very common with consumer level DTP apps and an essential option if you’re planning to get your documents professionally produced. And if you have any problems or questions, we can speak from experience that the developer is also very quick and helpful which isn’t always the case with DTP software on Mac. If you want a value for money user-friendly desktop alternative to Publisher but don’t want to be locked into a monthly subscription, iStudio Publisher might be for you at just $17.99. And if you’re not sure whether to go for it, you can also try a fully functional free trial of iStudio Publisher before buying. If you want to create interactive documents on your Mac, then FlippingBook might be for you. FlippingBook is a clever online desktop publishing software for Mac that is extremely easy to use and doesn’t require you to download anything. FlippingBook can be used for creating interactive documents, books, magazines, catalogs or brochures. What’s clever about FlippingBook is that it can make digital documents have a vintage paper look and feel to them to give them a more original touch. The page flip effect in particular looks really cool and feels like browsing a genuine print publication on your Mac or iOS device. We like the way you can import PDF or HTML5 documents into FlippingBook and it automatically then coverts them to a paper feel format. 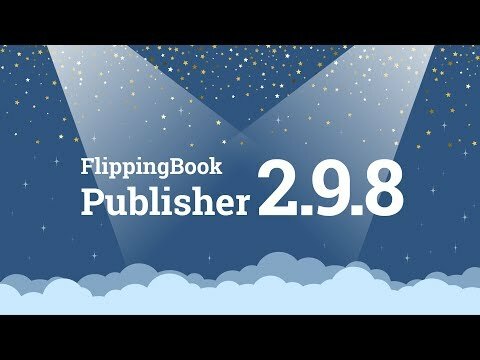 FlippingBook automatically optimizes all publications to display as well on desktop as they do on mobile devices and you can even embed them into blogs and websites. You can add other useful elements like a table of contents, embed videos in documents and even pop-up images on pages. All pages and publications can be branded with your own logo or background and you can choose to host your publications on your own server or with FlippingBook Cloud. FlippingBook could be described as an interactive desktop publishing software and while it’s not a direct replacement for Publisher, it’s definitely a more interesting and creative software. It’s a bit pricey at $40 per month for the Starter version going up to $180 per month for the Advanced version but if you’re looking to really impress clients or customers on a regular basis, it’s probably worth it. Note that although you can use FlippingBook online, there is also a FlippingBook desktop client for Windows although none for Mac as yet. There are basically no free alternatives to Publisher on a Mac that have comparable features and functionality, although LibreOffice (see review above) is about the closest you’ll get to a free version of Publisher. There is however also Scribus which doesn’t have the features and polished interface of the software covered so far but is definitely worth checking-out if you’re on a strict budget. Scribus is a powerful professional free open source desktop publishing application which can do pretty much everything that Microsoft Publisher can and more. It has plenty of templates to choose from including for brochures, newsletters and posters. There’s no reason you can’t produce professional looking publications with Scribus as these examples show. The main toolbar across the top of Scribus provides all of the main functions and there is a sliderule along the margins to help you be exact with your designs and layouts. As is typical with open source software however, you have to feel your way around Scirbus to get used to it. There is an extensive Scribus Wiki but it’s quite dry and there are no tutorial videos to follow. Scribus isn’t updated very often as it relies on a small group of volunteers to keep it running so bear that in mind if you’re expecting lots of new features and updates regularly. Note that you also need to install Ghostscript on your Mac in order for it to work. There is no official developer support either although there is a Scribus community forum where you may find answers to your problems. If you want a free DTP software though, and have time study the manual, Scribus is a very powerful publishing program for absolutely nothing. You can download the stable version of Scribus for free or if you’re feeling adventurous and don’t mind the odd glitch, you can download the unstable developmental version for free too. No review of desktop publishing software on Mac would be complete without a mention of QuarkXPress. QuarkXPress used to be the industry standard for Desktop Publishing on Mac many years ago but has suffered from a lack of development and competition from InDesign on Mac. However, the latest version of QuarkXPress is a huge improvement and if you’re looking for a professional desktop publishing software without a monthly subscription, it might be for you (it doesn’t come cheap though at $349). QuarkXPress is probably the most expensive DTP software you’ll find but it is easily the most well-known and established Desktop Publishing Software among professional publishing houses. However, its market share has taken a big dent over the past decade due to an increasingly bloated design and from the rise of Adobe InDesign and the incredibly powerful Adobe Creative Cloud suite. 20 years ago QuarkXPress was the industry standard DTP program on Mac but increasingly became slow, bloated, buggy and generally left behind. Quark has traditionally been the choice of professional publishers, magazines and newspapers so if you’re only looking for a simple desktop publishing program, it’s also quite a complicated package to get your head round. However, QuarkXPress has attempted to recover ground from Adobe with the release of QuarkXPress 2016. Some of the most notable features of Quark 2016 are the new color picker tool and ability to export HTML5 publications which InDesign can’t do as yet. There are other things QuarkXPress can do that InDesign can’t too such as the ability to convert PDF and AI files for editing, vertical kerning, gradients with different opacity settings and custom optical margin alignment for example. Note that you can’t open InDesign files although you can copy and paste InDesign items into QuarkXPress. The new QuarkXPress is certainly an improvement on previous versions and one other strong selling point is that unlike Adobe InDesign, Quark 2016 doesn’t require a subscription. It’s just a one-off purchase of $349 for the desktop software which may appeal to some users looking for a professional desktop publishing software for Mac. For this price, you get a perpetual license with 60-days of free support, free dual activation, a cross-platform license for Mac and PC and ongoing access to free updates. If you’re intending to do some serious DTP work and want to produce high quality professional publications without a monthly subscription like InDesign, then QuarkXPress is definitely worth looking at. You can try a free trial of QuarkXpress to judge for yourself. VivaDesigner is a powerful German based desktop publishing and typesetting software that’s on a par with InDesign and QuarkXPress. In fact it can even convert and open Adobe InDesign files so that you can edit them in VivaDesigner and vice-versa. VivaDesigner works across on both Mac and PC in a desktop client and online via a browser. It’s a good option for those working in teams as it allows several users to work on one document but features Distributed Publishing controls to restrict privileges. VivaDesigner is far more powerful than Microsoft Publisher with professional features such as Glyph palette, multilingual text editing and translation, style sheet visualization and optional Publishing Servers. VivaDesigner is available in Free, Personal ($139) and Commercial ($399) editions. The free edition is very limited in features but can be used for basic desktop publishing both on your desktop and online. You can see a full comparison between all the versions of VivaDesigner here. Which Is The Best Mac Desktop Publishing Software? We’re sure that by using one of the solutions featured here you can live without Microsoft Publisher on macOS. Adobe InDesign is still easily the most powerful desktop publishing software for Mac in terms of professional standard desktop publishing. If you’re a student, the limited 60% discount offer off the entire Creative Cloud suite make it a fantastic deal. The disadvantage is that DTP apps like InDesign, Lucidpress, and Flipping Book all require a monthly subscription which is an increasingly common software payment model nowadays, especially when it comes to design software of all kinds. 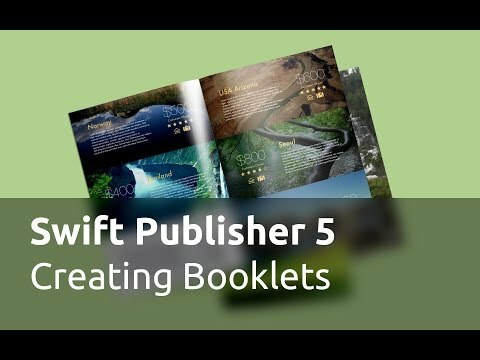 If you’re looking for something less powerful but sufficient for basic desktop publishing, Swift Publisher is an excellent option with no monthly subscriptions. For a full comparison of all the software featured here, check the table below. Is Microsoft Publisher Available In Office 365? Publisher is not included in Office 365 for Mac users. For Windows users however, Publisher is included in Office 365 including Office 365 Home, Office 365 Personal and Office 365 University. Is It Possible To Run Microsoft Publisher On Mac? It is possible to run MS Publisher on Mac by installing Windows on your Mac using a virtual environment like Parallels. You can find out exactly how to install Microsoft Publisher on a Mac here. Why Is There No Mac Version Of Publisher? Microsoft doesn’t always release all Windows products on Mac. There are several major Microsoft applications such as Visio, Project and Access that aren’t available on macOS. The Mac user market is obviously a lot smaller than the PC market and Microsoft doesn’t see it as financially viable to put the development, support and resources into making a Mac version of Publisher. If you have any other problems, questions or issues with these Publisher substitutes on Mac, let us know in the comments below. You’re welcome Walt – hope they helped. This is an EXCELLENT article on Mac versions of Publisher! I’ve been struggling with the decision as to whether to buy or not to buy new Pubisher version, run with Parallels, but have heard pros & cons against it. You are so right–I used the Publishing layout view in MS Word 2011 which I’ve never done, and it works great. I was preparing a tri-fold brochure, used a great template, recolored it to match my theme colors and so far, so good. This is an easy-to-understand, self explanatory article that helped me make up my mind to stick with Mac software and as you so aptly stated it, I will leave the world of Publisher behind!!! Thanks so much for taking time to explain Mac options in user friendly terms!!! Thanks Dorothy for your kind comments. It’s really great to get feedback like this and that the post helped you so much. Please remember to share it with friends on Facebook and Twitter so that it may help others too. Glad it helped Mike! Please share it with others. I agree with Dorothy J. This article is a great read: well constructed, informative, easy to follow. Thanks for taking the time to put this together. Very helpful. Thanks for the comments and glad it helped you! I did purchase Printfolio Bundle and Swift Publisher 3, but I will admit that it is not as easy as Publisher to navigate. I got so frustrated, trying to put together a tri-fold brochure, (time sensitive) that I returned to a MS Word (for Mac) template to finish project. I don’t have lots of time to be a “student” of new software, so not sure this will keep me away from MS Pubisher. We’ll see! I am thinking of going to a Mac and was curious about my MS Publisher files and potentially switching to Mac DTP program. Your information was extremely helpful in assisting me in my decision. Thanks for the great information. Glad it helped Alvin! You won’t regret switching to Mac. Thanks so much for the help mate. you’ve been very informative. No problem Anita – glad it helped you when having to work with Publisher on Mac. So I hate to sound slow but is there no way to open and edit Publisher files on teh MAC? I’m afraid the best you’ll get is using Word as described at the beginning of the post above. Otherwise, you’ll have to use an alternative. Glad it helped – and Pages is a good choice! if i use pages to do my work, can i reopen the files in a windows 7 OS without downloading Pages ?? Yes you can. Just select “Save copy as..” and select Microsoft Word when you save the Pages document. Glad it helped you Neil! Great list… I have used the free 30 days trial version of flipb product that is specialized for Mac and its really good to use…..
Walt thanks so much for the article! It is just what I needed. I am transitioning from PC to Macbk and I am struggling a bit. Publisher is something I have had to work with a great deal and having some options to look at are very much appreciated! I should be fine overall as I have iPhone and iPad for years, just need to more fully take the leap now. Hi Chelsie, You might find either Art Text or Intaglio creates curved text. Great article! How about iStudio? Any feedback on that? Hi Bill, Glad it helped you. iStudio is excellent, especially if you’re not very familiar with Desktop Publishing Programs. It has lots of easy to follow tutorials for beginners and produces very professional results. But which of the listed programs are compatible for Mac and for Microsoft? Thanks and glad it helped you! Of the programs reviewed, Microsoft Word, QuarkXPress and Adobe In-Design all work on both Mac and PC. So, what format do I save the Publisher file in so I can open in InDesign? Your best bet is to use this PDF2ID conversion tool so that you can open Publisher files in InDesign. What would be the best program to create a custom map that I can publish to the web? I would like to be able to draw a beautiful map (not by hand) and make it interactive (probably by using a program like mapsalive on the web unless there is a capability to do it in a program that you suggest). I also need to make a custom search box for my website that has drop downs and buttons. I have already created the custom links, I just need the html box to control it, and would like to design it myself. The more affordable, the better. Thank you in advance! Hi Cat, For Maps it sounds like TileMill is probably what you’re looking for. As regards the custom search box HTML, this might help you. Are all of these programs able to handle a 200 page book with text and photos? I don’t want to start something only to find out halfway into it that it can’t handle the amount of pages. Thanks in advance. Absolutely – if you’ve paid for the full version, there is no page limit on any of them. is there any way to even open a microsoft publisher file on my mac? Yes you can open .pub files on Mac. Just scroll down the article above and you will see the instructions. This is exactly the kind of help I needed. I’m sick of being on the $Adobe$ InDesign bandwagon and needed to understand where my alternatives lay. Thank you for such an in-depth article. You’re welcome – glad it helped you find a Publisher alternative on Mac Alma! So helpful. Thanks. Zamzar was so easy to use! Glad it helped you with Publisher files on Mac Anna! Hi, If you’re going to need lots of different Clipart regularly, it’s worth investing a few dollars in this Clipart Collection which has over 500 different images. If you just need the occasional clipart then this royalty free collection of clipart may help. What a thoughtful and amazingly helpful article. Thank you so very much! I am still unsure of what I’ll do, but knowing that there is someone out there who understands is a reassuring feeling. Thank you for taking the edge off my worries! Lee, Thanks for the kind comments and glad the article helped you! If you need any other help, let us know. I have used windows (publisher) for years as a teacher. I just purchased a Mac and so disappointed it does not support publisher. I need an easy alternative – of the ones listed which one is most similar to publisher. Maybe I should return and get a windows pc. Becky, There’s no need to get a Windows PC. If you want an easy Publisher like alternative, any of LucidPress, Swift Publisher or iStudio Publisher will suit you. Thanks so much for this helpful article! I’ve been going around and around all day looking for a solution, and you explained everything. Much appreciated! Thanks and glad it helped you! I wonder if you can help me, Ive read your very informative article but still have questions. I am considering buying my daughter a mac book pro for her A level coursework but she uses Publisher at school and would need to work on the documents on her Mac. Would she be better off with a windows laptop?? She will need to switch between school pc and Macbook easily for the next two years with her publisher coursework files. What do you think? Good point but probably more expensive for the school I suspect. If she’s going to pursue desktop publishing in the future, Neil is right though – a Mac will stand her in far better stead after her A-levels too than a PC. Ive emailed the school ……..watch this space! We have and iMac and iPads at home so know how good they are. It makes sense for her to have a Macbook but the only stumbling block is Publisher. It looks as though I will have to invest in the Parallels software. Many thanks for your help. The Apple Store were not very helpful, although they suggested I go to a forum to get advice! Ok let us know what happens! Surprised that Apple didn’t at least suggest using virtualization software such as Parallels to run Windows on a Mac but the advice you get from Genius Bars sometimes depends on who is serving you it seems. Hi all, so I bought the MacBook on Saturday from the Apple Store but they were not able to help me with the software issue unfortunately. I went to PC World and found two very helpful guys who advised me the best way forward was indeed to download Parallels, then load Windows and then Publisher. PC World had a bundle offer so Parallels and Windows was £119 and Microsoft Office 365 was £49.99. I’m delighted to say I loaded everything up on Saturday evening and all went without a hitch. My daughter is delighted and she can work on her coursework on Publisher at home and at school. That’s great to hear and glad we could help! If you have any other problems or issues using your Mac, let us know! Thank you so much for this article! I’ve been working for years in Publisher and on a PC and am switching to Mac this week. I have hundreds of documents that I need to transfer over to a Mac DTP program. This article has been the most comprehensive and helpful that I’ve seen anywhere. You’ve helped my stress levels immensely! I’m thinking of opening the .PUB docs in LibreOffice and then saving as a Mac friendly doc that I can then use and edit in one of the other programs you mentioned. From your review above, I’m debating between iStudio Publisher, Pages and Publisher Plus. Does that sound like the best option for converting? Thanks again, so much, for posting this helpful article! Sarah, Glad the article helped you! As regards your question, you could do exactly that – open the .pub files in LibreOffice and then save them in a format that can be opened by iStudio, Pages, Publisher Plus etc. Our advice would be to download LibreOffice for Mac and try opening your .pub files first to make sure it opens the file correctly before purchasing one of the Publisher alternatives for Mac featured here. All of them should work on El Capitan as most developers have now had enough time to update their software for it. Those that are in the Mac App Store state clearly in the minimum operating system requirements if they do or not. For the rest, it’s of course always best to check the developer website first to make sure. Thanks. I am sorry that I phrased my question so poorly. 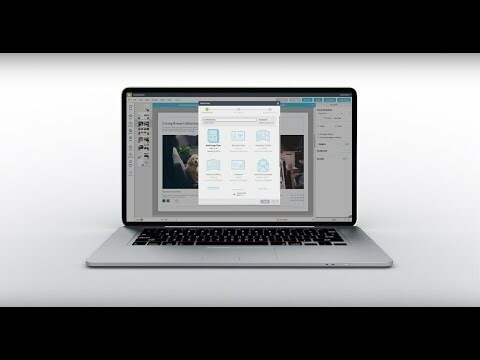 I am wondering how the upgrades with El Capitan and with the software (to run on El Capitan) have changed how they work together? Better, worse, the same? I have noticed (can’t remember which ones right now) that some software that was supposed to run on El Capitan have some glitches. This happens to me every time there is an upgrade somewhere. I just re-downloaded LibreOffice and am having some issues the the program freezing and crashing. I had stopped using it for that reason and went with Open Office. Thought I would try it again, based on recommendations from a friend. The problem with open source solutions like Libre Office and Open Office is that they are often slow to update to the latest versions of OSX. If you buy one of the other apps listed in this article, the developer is more likely to update the app quickly when new versions of OSX are released. However, even then it can take some time for them to catch up and update the app. I need to modify my logo (made in Photoshop by someone else, that’s a .PNG) and I’d like to make brochures (I’m just a small healthcare office). I used to make things in publisher all the time in my past office life but don’t know adobe “that” well 🙂 What’s my best bet? Thank you so much for updating this and creating this list in the first place!! Thanks for stopping by. If you’re a small business just making brochures, then you should find that Lucidpress is sufficient for your needs. It has plenty of templates for making brochures. Adobe’s software produces considerably more professional results but takes longer to learn and may be a bit too much if you just want to edit a logo and make brochures. Hope this helps! You lack here a very important app it’s called “Viva Designer” available in multiple Languages (German Produkt) very acurate. Desktop, On-Line and Database Publishing Solutions available. Thanks for the tip. VivaDesigner is a powerful desktop publishing tool which is a lot more advanced than MS Publisher but is certainly worth a mention. We’ve added it to the list.